but end up eclipsing their own unique, God-given identities in the process. The best thing for your development and for the development of your people is to lead from your truest self. God has uniquely created you with specific talents, and He divinely calls you to lead from these particular strengths. self-accepting, healthy, and self-confident. Create a vibrant organization and cultivate a life-giving team. Build an eternal legacy based on authenticity and humility. organization with God’s abundant creativity, grace, and resilience. There are two kinds of people in this world. 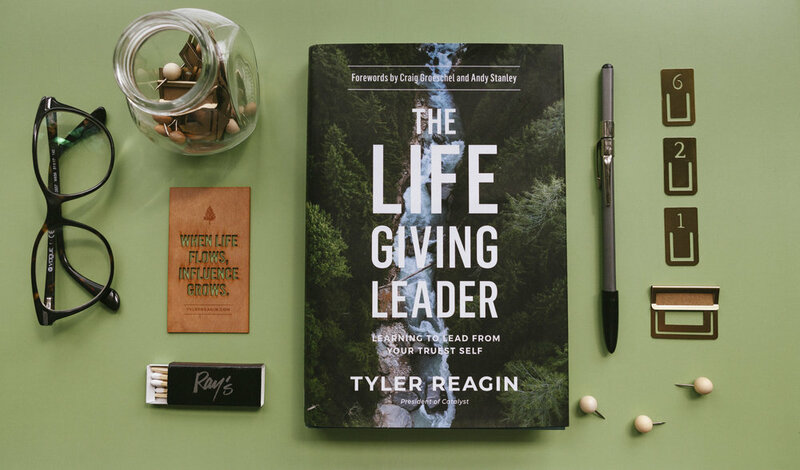 There are those who walk in to a room and say, “Here I am!” And there are those who walk into a room and say, “There you are!” In his important and timely book "The Life-Giving Leader" my friend Tyler will teach you how to become the kind of leader who notices and enhances the lives of those around you and you’ll watch as new levels of usefulness in your own life are unlocked in the process. The upside-down secret that will change everything is that it’s giving and not keeping that is the key to receiving. is the president of Catalyst, a leadership development organization that exists to unify and equip leaders who love the Church through resources and experiential events. Through live events, weekly podcast, digital resources and a community-building app, the Catalyst team connects with over 100,000 leaders from around the world. Prior to Catalyst, Reagin served for seven years under the leadership of Andy Stanley as the Service Programming Director with North Point Ministries. He received his Masters of Divinity from Gordon-Conwell Theological Seminary and serves as a leadership coach for teams and organizations. He's been married to Carrie for over 16 years and has two boys Nate and Charlie. When he's not working, Tyler is hanging out with his friends and family on the golf course.